If you love camping like I do, you want to win this! 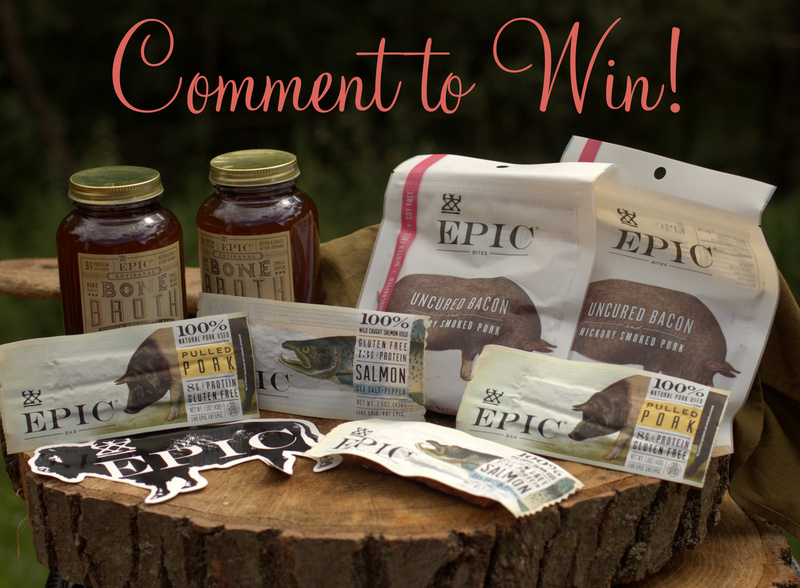 EPIC bar is an awesome company that loves camping like I do and understands that packing healthy food is important. They graciously donated this awesome camping gift pack! *2 bottles of amazing bone broth for a warm morning drink! I always order EPIC bar products before I go camping! Click HERE to find. 2. Like EPIC bar on Facebook! 3. Comment below on what your favorite camping foods are! Good Luck! Winner will be chosen August 28th! 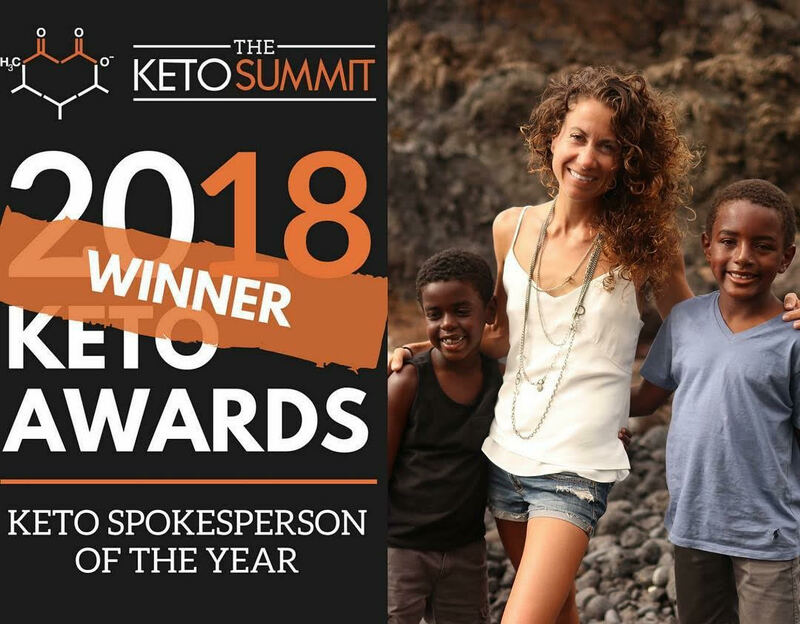 AND THE WINNER IS… Joan Kubes! Congrats! Click HERE to find the ebook Sonia and her husband are following. 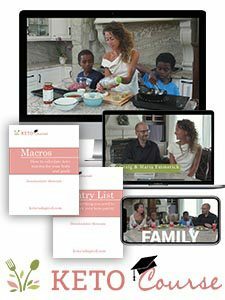 Complete with meal plans and grocery lists! Epic! I got the last copy of your cookbook at Costco yesterday. The cashier was NOT HAPPY! He wanted it, that’s why he put it at the bottom of the stack (of like 30 books) Haha! 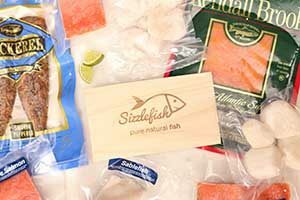 My favorite is actually smoked fish. We put the fish in aluminum foil with butter, lemon, salt and pepper then cook it in the hot coals of the fire. I would take Nick’s Sticks camping! 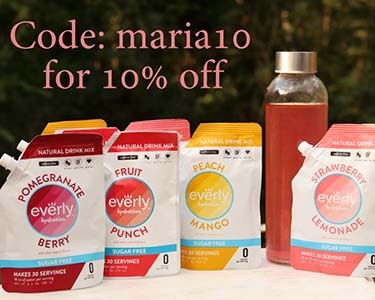 I am a fan of yours Maria, and if you say it’s good than I would love to try it! 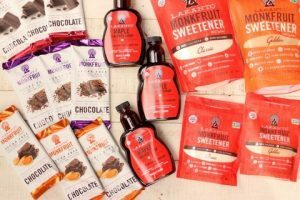 I don’t go camping but I would like to try these products! My favorite thing while camping is smores! Gotta love them! 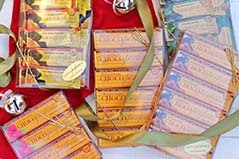 My favorite camping treat is Epic Beef Habernaro Cherry bars! I love camping, and cooking keto foods! Love your cookbook! 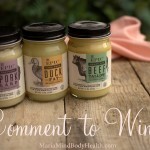 I haven’t tried these products yet so I’d love to win them! Eggs…we love eggs any time! Bacon and eggs. Best smell in the world on an early damp morning beside the lake. I love epic bacon bites! So delicious! I’m never heard or tried EPIC before but will now look for it online! Hoping to win to pack it on the motorcycle for an upcoming trip!! Epic for snacks and bacon and eggs for sure! Our family loves bacon and eggs! My favorite foods are jerky and anything I can cook over a camp fire with a grill grate and/or a cast iron pan! Jerky is my favorite treat when away from home and on long drives hauling cattle! My husband is the camper in our family and I would give this to him on his next hunting trip to Colorado in October. My favorites foods for camping are meats I can cook on an open fire (with a grate). Canned fish, beef jerky, pork rinds, protein powder, and nut butter packets! 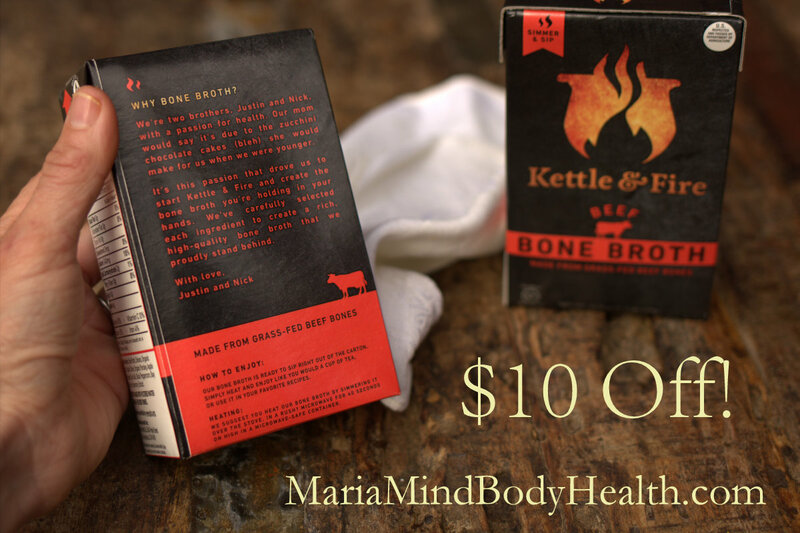 I’m intrigued… Especially the Bone Broth. Look forward to trying your product. We love to camp and we take pork rinds, homemade jerky and lots of meats and dairy. Hard boiled eggs are what I pack! I like to have a Cajun shrimp boil while camping. I love my Epic Duck Fat. It makes the best fried eggs ever. 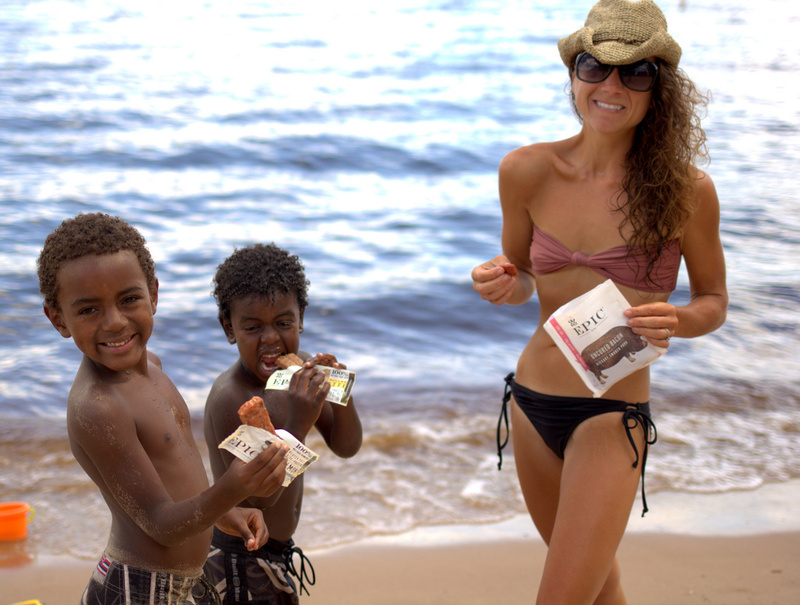 I bring Epic bars as emergency snacks for hiking and paddleboarding. Hardboiled eggs are another favorite to bring camping or on day trips. Just came back from camping at Land Between the Lakes, and Epic bars were one of the only foods offered in the visitor center! My favourite camping food is jerky ! We love jerky, hard boiled eggs, nuts, cut veggies, bacon, dark chocolate. I’ve made your graham crackers and marshmallows to make smores with chocoperfection bars. Yum! I would love to try the bone broth and have been eyeing those Epic bars too. I guess I would like all of these items for camping. Makes for a good variety of yummy munchies. Thanks for the chance to win them! Bacon!!!!! It would be nice to sample some of these products before I have to buy them. We love deviled eggs, peanuts, bacon wrapped peppers, and pork rinds! If I camped I would take jerky. I always loved to go camping but with family obligations have not gone in a long time,but if I did I would bring macadamia nuts, pepperoni, butter. Anything! When I am camping, it all tastes good in the Great Outdoors!! Beef Jerky is my favorite to take along on a camping trip. Jerky is definitely a camping staple! Hands down best road trip snack ever!! I always pack meat sticks/jerky and cheese! These EPIC bars are super handy! We already use and enjoy their bone broth (great for fasting! ), but I never knew about the pulled pork or salmon jerkies until now. I love the bacon bites! Yum, these look good! I’ve started keto recently and am loving it! My husband is even doing it! I think he would love this package, fingers crossed! 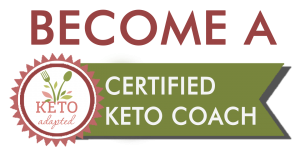 We have only just begun a Keto eating plan…so I am still learning how to plan meals. One thing for a longer camping trip that I have always done is take a cast iron skillet to do bacon or ham and eggs. We take your Sausage Cabbage Packets… quick. 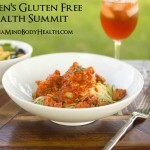 easy and delish!! Appreciate your site, your encouragement, and am off to make those muffins on your FB page today! Anything cooked while camping always tastes better than at home. Fresh air, sunshine + lots of protein. I’m not a camper but these epic bars go with my boys when they go for cub scouts! 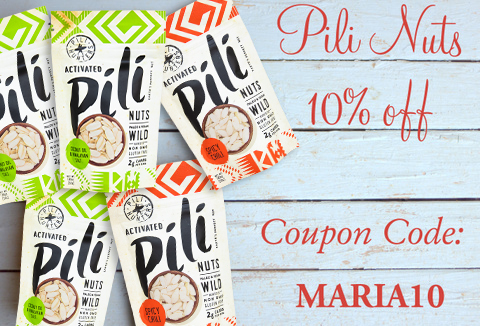 Such a huge follower of Maria’s – her cookbook is amazing! Can’t wait to try the Epic products! I love their bone broth and with a horrific case of candida i need all i can get. Thanks for another great giveaway! Can’t wait to try some of these. We pack homemade granola for trips. I usually pack jerky or meat sticks. We haven’t gone camping for years……..I would pack nuts, selectively, jerky sticks, and butter! Eggs and bacon, nothing tastes better in the morning than bacon and eggs cooked over a campfire. I also take coconut oil for cooking and first aid uses. Would love to try their other products!!! For camping my favorite Leto snacks are eggs, bacon, a ripe, uncut avocado and pecans! My favorite Keto snacks are eggs, spicy pepper jack cheese, bacon, avocado and pecans. First thing I’d pack is jerky. Jerky, hard boiled eggs, grass fed beef incurred hot dogs. I always choose jerky, nuts and protein bars as my camping/hiking go-to foods. Smoked fish, jerky, nuts, and protein bars. I would love to give these a try, being in canada it is harder for us to order etc… shipping customs on and on lol. The protein and tallow interest me alot. I always have some kind of meat sticks or jerky on hand to take with me. I haven’t been camping but would bring some nuts and seeds! I love Habanero Beef bars. Nuts, grassfed hot dogs, eggs and cheese. Jerky plus eggs and bacon. Hoping to get to the city and visit Costco for your cookbook. Bacon & eggs. 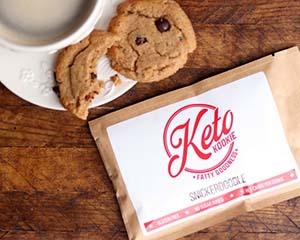 I would love some keto s’mores too! We do not go camping anymore, but we do travel a lot. So we pack nuts, eggs, fruits and veggies along for our trips. Jerky, nuts and cheese sticks. Just camped for the first time while in Yellowstone two weeks ago. We took eggs and bacon, grilled a protein along with a veg or salad for dinner and made smores from your marshmallow and graham cracker recipes I made at home in advance. It was easy and delicious! Interested in a Marshmallow recipe that has been or could be healthified! Woot! My husband would be ecstatic if I won this! He used to go hunting, and this would be fun to present to him along with a hunting pass. (: He doesn’t do much for himself anymore, and I want him to feel like a priority! My favorite camping food would be… steak. I love a cheeseburger with Tomato and Lettuce, no buns, with a side salad and homemade dressing. Eggs and bacon! Would love to try the bone broth, never tasted bone broth before. I packed 4 water bottles with eggs and lines marked on the side of the bottle to let me know how many eggs I was using at a time. I packed my pecans that I make by soaking for 6 hrs, then put a little salt, sprinkle with swerve, cinnamon and cook at 225 for a couple of hours. MMMMM… and lower carbs than peanuts, which I also pack. Bacon jerky, jars of bone broth and NOW macadamia nuts. That’s just a quick list, I had 3 coolers on our recent trip to Glacier. Bacon, eggs, and avocado!!!! Gotta try your s’mores!!!! Cocout butter, bacon, eggs, jerky. We love to bring bacon, sausage and eggs when camping! Jerky is a must! Plus AB packets, like Justin’s. If it’s car camping… eggs and bacon! Love hot dogs and fresh caught fish! Wow,this all looks so amazing! Yum!! Love them all…. Love camping breakfast with bacon and eggs!! Outdoor with nature!! I never got to go camping..but if I did it would be Hot Dogs! My favorite camping food would be good ol’ reliable cans of tuna. That, and fried eggs over sliced hot dogs. Favorite camping foods are all beef grass fed hot dogs in lettuce wraps with sauerkraut…yum, and these onion bombs stuffed with ground beef and cooked in the campfire. 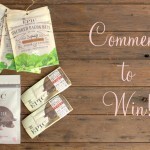 I’d love to win the EPIC giveaway to try. 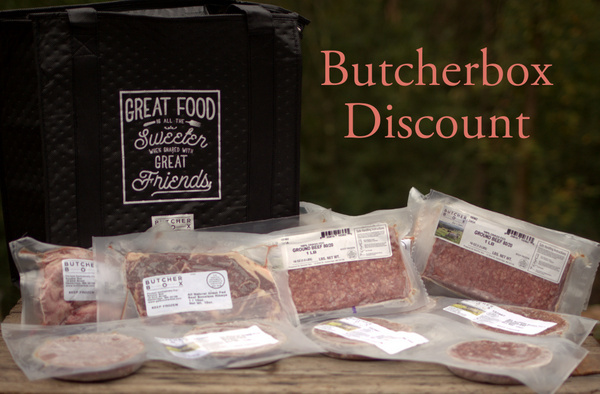 I’m looking for a great bone broth and jerky treats for a great snack option when out and about. I love your recipes, Maria! 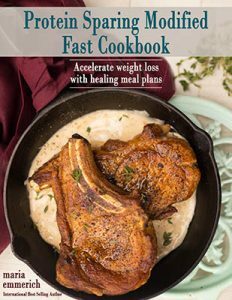 I got two of your books recently and my husband and I have been following the meal plans with intermittent fasting and are finally losing weight. These EPIC bars etc look fabulous. We would love to try them. Breakfast over the campfire is my all time favorite. So bacon, sausage and eggs are at the top of my list. 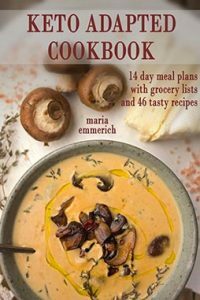 Maria – I purchased your quick & easy cookbook recently and have been enjoying the recipes However, there is an ERROR on p. 158, the Chocolate Coconut Custard. The list of ingredients includes 1 cup of almond milk, which makes sense since that is the only protein in the list. However, the directions make no reference to the almond milk at all. I added the almond milk anyway and wound up with chocolate soup. I would appreciate knowing the correct instructions, and I’m sure other readers will feel the same. Beef jerky! No refrigeration or reheating necessary! I haven’t been camping since we started doing keto… but I imagine we’d probably take lots of of your keto bread in different forms. Did you know that keto bread buns dried out for a day or so make amazing little personal pizza crusts? lol I was disappointed because a batch got left out on the counter over night and were dried out the next day. But as pizza crusts, they worked great! 🙂 Anyway…. omelets in a bag, brats, burgers, maybe even some of your ice cream if we could keep it cold enough in the cooler. One nice thing about keto is that you don’t need a lot of snacks because you aren’t hungry as often. Jerky! And salmon jerky sounds amazing but I’ve never seen it! This looks like an amazing package. Thank you for the opportunity. I haven’t been camping since being in ketosis (day 106), or at all yet this year 🙁 but in the past my favorites were fruits, unhealthy chips, grill-able meat products, and breakfast foods. One of the hardest things I’ve found since beginning my journey is the lack of easy snacks. 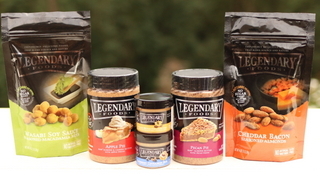 These EPIC products sound like they would be delicious! Jerky, homemade bars -nut based, jar of nut butter, pork rinds and anything portable I can think of! Lots of jerky… all kinds! 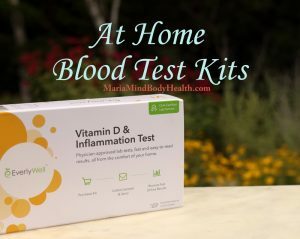 I have never tried these specific products but thank you for the chance! Would love to try this pack😃! My favorite camping food is pizza 🙊 ~ I premake keto pizzas, and man, something about the pizza and wood fire smoke. It’s literally my favorite pizza and the highlight of camping for me! Bacon hands down is my favorite camping food. Easy to cook with basically no mess when camping. I also love to cook hobos over a hot campfire. My fave go to easy snack when camping is EPIC all the way, lightweight, throw in a back pack and you are good to go. I always pack lots of hardboiled eggs and nuts! This is such a great idea for camping, I normally just cook the regular “camping friendly” foods, but this is a great alternative! We love camping! One of our favourite camping foods is pickled eggs. Wow! Sounds amazing and perfect to go with our favorite camping breakfast, scrambled cheesy eggs! I like to take cheese and sausage. 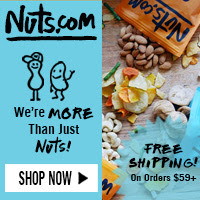 Nuts, jerky, some dried fruit. I’ve had the Epic bison, would love to try the salmon. 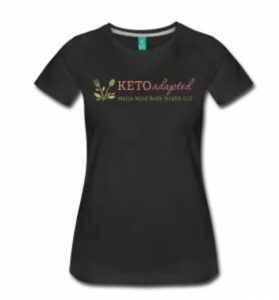 I have been on LCHF for almost two months and have lost 20 lbs thanks to your blog and fabulous suggestions and help along the way. I would love to go camping and feel comfortable staying on track – and between you and Epic I now feel confident that I could with a little planning! 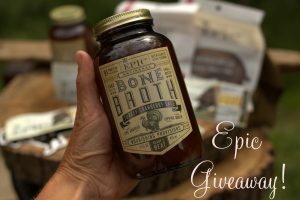 Will definitely need that Bone Broth for my first trip! 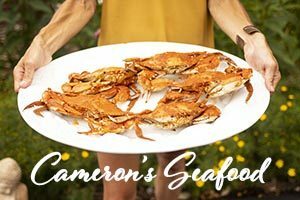 Thanks for the giveaway – fingers crossed (and toes)!! Rib Eyes are the best camping! I haven’t gone camping in years but my go to snack to pack is bacon! I have never tried it, but I can guess my favorite would be salmon one! Bacon and Eggs with Coffee from an open fire pit! yum! Epic bars, hard boiled eggs, nuts, cheese! I smoke meats before we leave and reheat over open fire. I would love to try these Epic products. We don’t go camping as often as we like but when we do jerky is one of our staples. Can’t go camping without bacon and eggs! Bacon and eggs cooked over a campfire are the best!!! Meal fit for a king!!! I love camping and I love any food items that are convenient for camping and hiking! EPIC sounds like a great option!! 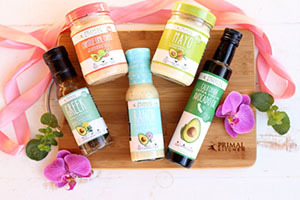 I would love to try these products! I have found out that the west coast has a hold on the whole food market! I haven’t see Epic here in NY. I can’t wait for this revolution to take hold here! I would love to give it a try. For now I will continue to make my own! 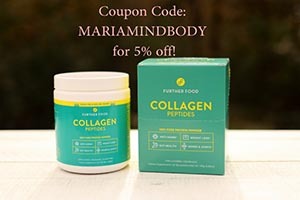 Thank you Maria for heading up this revolution, and guiding all of us to health! Eggs, sausage/bacon and lots of jerky! Lots of jerky and hard boiled eggs. I haven’t gone camping since I started Keto, but I would bring eggs, bacon, pepperoni, etc and have my husband catch some fish… and other stuff for the kids. Also, I usually make goodies that don’t need to be too cold. Next time we go camping, jerky will be what I take. 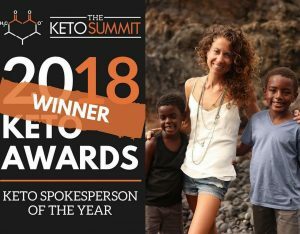 My husband takes jerky for work, since he just started keto… Thank you for your blog, and thanks for the chance! I like jerky, fruit and veggie plates and hot dogs (no bun). I love the Pulled Pork Epic bar. 2 gr of carbs and 8 gr of protein, can’t beat it. Would love to try their beef live bites. Our local store doesn’t carry them. Bacon is definitely my camping go to. And I have tried a couple of the Epic products I could get ahold of and would love to try more! My favorite camping foods are bacon and coffee with cream. 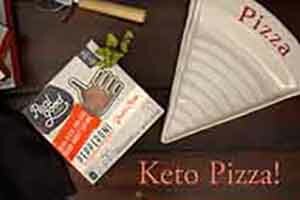 I’m new to Keto eating and haven’t been camping, so great ideas and a wonderful product to pack. Bacon cooked in a cast iron pan over a fire!! Nothing like it. Just starting keto with husband. It is not east but can see the effects already! Love your newest cookbook! Love Epic bars. They are my go to, to ensure I stay kept when working long days. My favorite camping foods are those roasted on a stick over a fire: hot dogs, bacon or other types of meat. I love the taste as much as the whole experience of camp fires. When hiking I love beef jerky, boiled eggs and cheese. Generally I don’t go camping! But I’d imagine that jerky and nuts would be ideal snacks. I keep both in my purse at all times in case I end up someplace with no good food options. I am not much of a camper, but I packed the Epic bacon jerky and macadamia nuts on a few trips this summer, and they were great snacks! Just tried an EPIC bar last week and it was amazing! I was so lucky to go backpacking in NC/TN this summer in the Great Smoky Mountains! Since my best friend and I are both doing the Ketogenic Diet, we worked really hard to make sure we had high FAT low Carb eats for the intense Big Creek Loop (which we accidentally did backwards, and was three times as difficult as it would have been going the correct way!). We brought whole avocados, truffle salt, a block of Parmeggiano Reggiano, keto chia crackers (which I had to abandon because they got moldy), and then all of our home dehydrated meats and vegetables. The absolute best was the dehydrated chicken and dehydrated zucchini, which once reconstituted with POTABLE water, turned into a rich broth, with tender chicken and a little crunch from the zucchini! We had so much fun making them. And they tasted great during those lightning storms, sleeping 6,000 feet above everything! Magic!! Epic is the best. Very interested in their bone broth! I am on a 1500 cal per day, please tell me the carb, cal, fat, protein, fiber that will aid me in weight loss. I have been stuck for about 4 weeks, please help. I have a calculator here that can help. sherrill says I have been stuck with no weight loss for 4 to 6 weeks. Hi, just wondering, when I grill veggies, would I weigh them before or after cooking them, for the proper amount to consume. Thanks a bunch, I love your sites.